Could I Live There? is sort of a hypothetical take on House Hunters, with families discussing whether or not they really can pick up their lives and move to a new city—but it sounds like it doesn’t necessarily involve any actual moving. 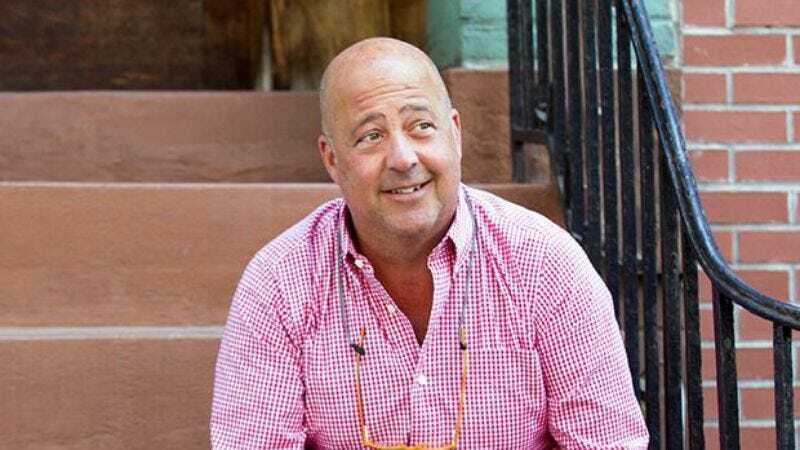 Meter’s Running stars Travel Channel superstar Andrew Zimmern as he discovers cities’ “best-kept secrets” from the taxi drivers who roam around them all day. Finally, I Adventure is an “intimate glimpse into the true enthusiasm for a special destination with actors Terry Crews, Jon Cryer, and Eric Stonestreet.” We’re not sure if that means it will always star those three guys, or if those three guys will each appear in an episode, but when the show is called I Adventure we don’t really care what it’s about. The Travel Channel has also renewed Bizarre Foods: Delicious Destinations for a third season, Hotel Impossible for a seventh season, and Xtreme Waterparks for a fifth. It has even given a new season to Bert The Conquerer, which apparently hasn’t been on the air in four years. Let’s be polite and pretend that the network doesn’t look super desperate right now, though.